I'm wondering if a i7-2670QM will work, I can get it slightly cheaper than the 2630QM plus it will be slightly faster. I can open the BIOS thru AMIBCP 4.55 and MMtool 5.0.0.7 and here's some screenshots if it can help. I really cannot figure how to proceed from here so asking your help! (10-08-2018, 11:57 PM)DeathBringer Wrote: [ -> ] I think that quad cores CPU will overheat this laptop. Leaving aside the heating, will it work on the laptop? I can probably do some mods to take care of the extra heat. on a different note, will i5 2540M also work? I'm having second thoughts on the i7 due to thermal constraints. 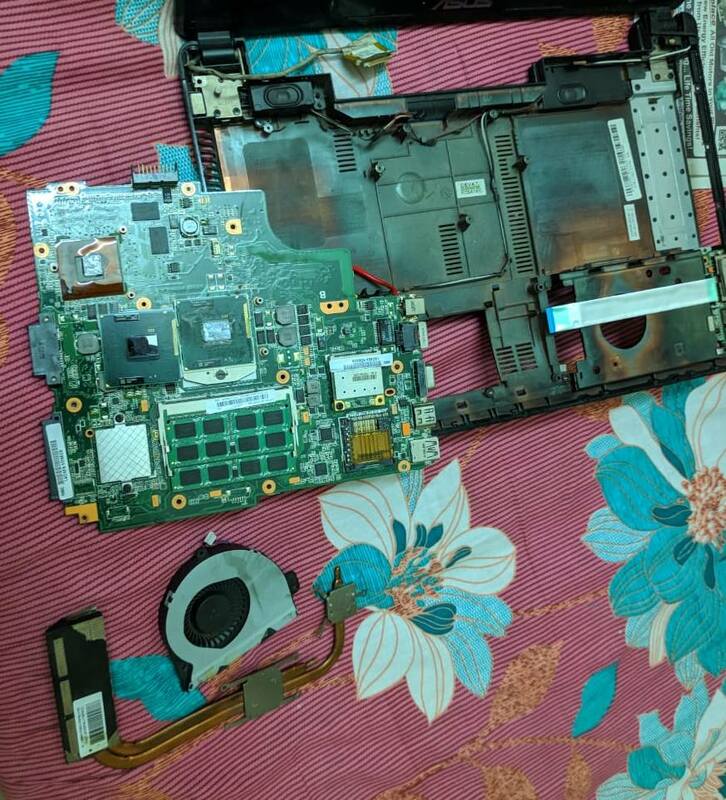 (10-09-2018, 12:16 AM)jingalalahoe Wrote: [ -> ] Leaving aside the heating, will it work on the laptop? 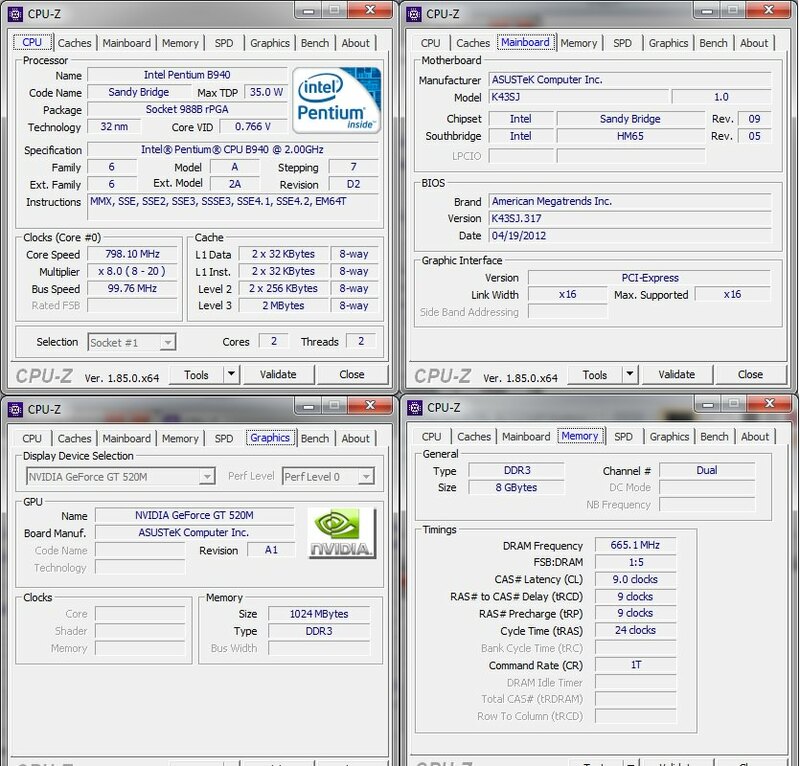 Some motherboards can't boot with quad cores CPU because of hardware limits of power subsystem. On motherboard, not PSU. i5-2xx0M и i7-26x0M are recommended for your laptop. (10-09-2018, 11:25 AM)DeathBringer Wrote: [ -> ] i5-2xx0M и i7-26x0M are recommended for your laptop. Thank you for your inputs, ordered an i5-2540M. I'll update the thread when I get it! SO I got my processor and it works fine! Before installing it, I updated the microcodes in the bios to the latest and unlocked as many options as possible in the BIOS. 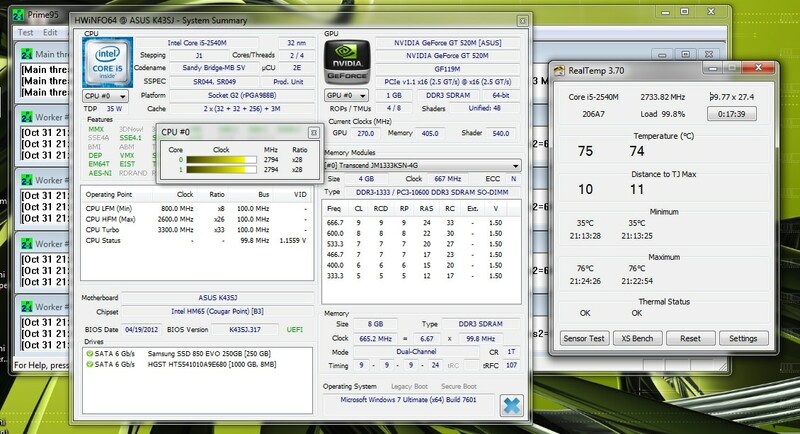 Processor idles at 37-38* , wow! Earlier witht he 940 and the same thermal paste it never went below 50* idle. Load temps are the same, this is after 15 minutes of prime95 and its turboing to 2.8GHz on all cores? I'm running a 65w brick instead of the standard 90W. Hopefully it runs faster witht he 90W hehe. I have the same model as yours (Asus K43SJ), currently with a i3-2310M processor. I'm planning to upgrade to i7-2670QM or i7-2760QM. Which of the two would you recommend? None of these two. Reread this topic attentively.